Kinda Cute Cards: Lets go to the beach...for my Tiddly Inks DT call submission. Lets go to the beach...for my Tiddly Inks DT call submission. Monday again and new card for you. And this time it is a special occasion too because I am entering with this card the DT call that Tiddly Inks is having. 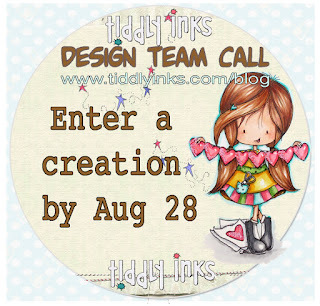 So if you love Tiddly Inks this might be your chance to enter the team. I have never been in the team before but it must be amazing for what other people is saying. Es lunes otra vez y tengo una tarjeta nueva para vosotros. 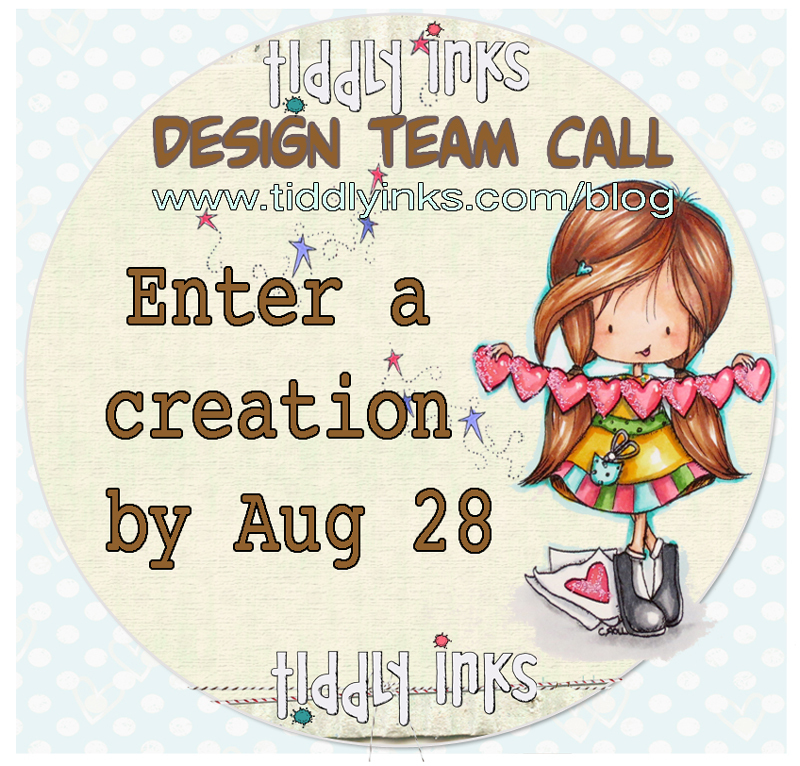 Esta vez es una ocasión especial también porque estoy participando con esta tarjeta en el concurso de diseñadores que está teniendo lugar en Tiddly Inks. Si os gustan las imágenes de Tiddly Inks esta puede ser vuestra oportunidad para entrar en el equipo. Yo no he estado en él nunca pero debe ser un equipo maravilloso por lo que otras personas cuentan. Para la tarjeta de hoy he usado Wryn Beach Babe y la frase es del sello digital Fairy Sunny Day, también de Tiddly Inks. El fondo está hecho con una placa de relieve de la marca Fiskars. Wryn está coloreada con rotuladores Spectrum Noir. Estos son los colores. Skin (piel): FS2, TN4, TN3, TN2, FS8. Hair (pelo): EB8, TN4, OR1, GB3. Swim suit and towel (bañador y toalla): BT4, GB4, BT6, BT9, BT8, BG6, BG4, BG3, BG1. Flowers (flores): BT9, BT8, BT4, GB3, GB9. Sandals (sandalias): GB10, GB4, BT9, BT8, BT4, BT2. Bag (bolsa): GB10, GB9, GB4, GB3. Make your mark at Addicted to Stamps. Anything goes at Craft your Passion. Anything goes at Crafting from the heart. Anything goes at Little Miss Muffet. Cute and girly at The Cutie Pie. Wishing you good luck! I love your coloring. Thank you so much Tracy!!! Gorgeous card. Perfect colouring too. well done and goodluck with all your challenges and the DT call. Thanks for joining us over at Lil patch of crafty friends. Wow! Wonderful cards! 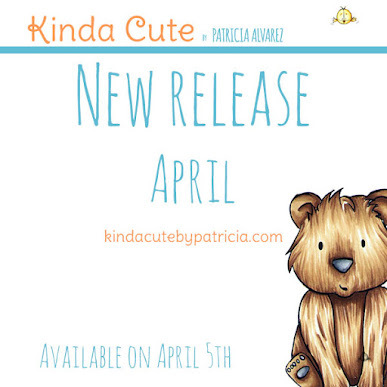 I love the images you used - they all are so adorable! And you coloring is just stunning! Thank you very much for sharing these great projects with us at 613 Avenue Create thiss week. Good luck with DT call! A great card - thanks for joining us at Crafting from the Heart and A Gem of a Challenge.